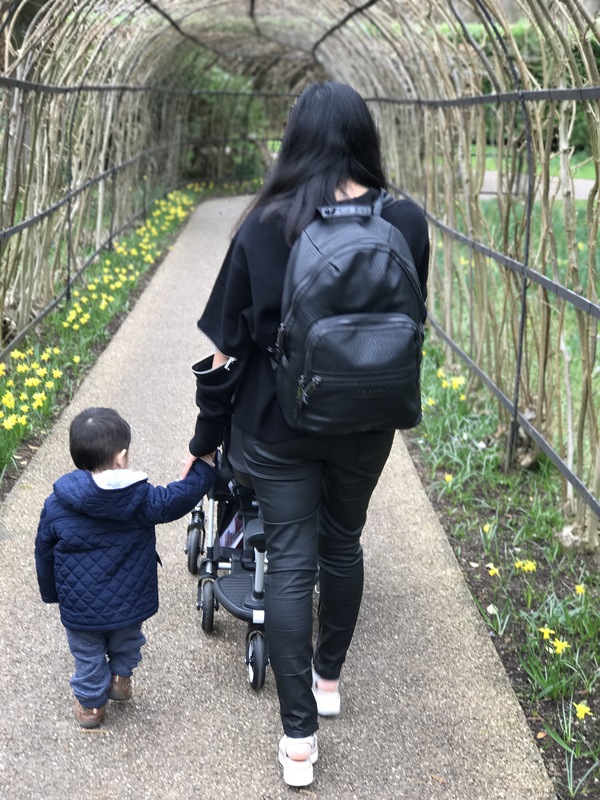 ﻿Surviving with a newborn and a toddler… one month on – it's a mums word..
A good routine. This goes with the above but basically having set nap times and a bedtime for my biggest monkey means I can semi plan the day and I know when to grab some lunch or start with dinner. I’m hoping to eventually have both boys in bed at the same time so I can get a couple of hours to myself. Maybe wishful thinking right now though. Doing grocery shopping online. I’m pre planning all my meals and ordering food online and getting it delivered as I just don’t have the time to go and do a food shop. I try and cook and prep dinner when my toddler is napping at lunch. I’m very fortunate to have my mum and sister nearby so one of them is usually here in the afternoon so as long as the baby is asleep they can entertain my toddler while I cook. Organising everything the night before. Once we come downstairs in the morning, it’s hard to just pop back upstairs to grab something as I don’t want to leave my monkey around the baby as anything could happen. Every evening I make sure we have enough nappy change essentials and spare clothes downstairs for the next day. Getting out of the house. This one is easier said than done. Firstly it’s winter so taking a newborn out requires more effort. And secondly getting out of the house with two takes longer than you would expect. But now we have all car seats and pushchairs set up, it should get easier. I’m finding it a lot easier to entertain my biggest boy out of the house, as he was getting very bored of being cooped up inside. And my littlest mainly sleeps while out and only feeds every 2-3 hours so this gives me time to focus on my oldest when out and about.. (Sami used to feed up to three times an hour which made going out when he was a newborn somewhat more challenging). Now the weather is nicer I plan to go out at least once a day, even if it’s just a walk around the block. We will also be taking advantage of our lovely garden. Strong support network. As I just mentioned my mum and sister live round the corner and help me daily. I am very lucky! As I’m breastfeeding there’s not much they can do to help with the baby but they help to entertain my toddler, by taking him out, feeding him, and helping with bath and bedtimes! I also have a very tight knit extended family who are nearby so have had lots of meals sent from aunties and cousins… I am very lucky I know and not everybody has their family nearby. Lowering my standards (and expectations). This one is an important one… I’m slowly accepting that my house will not be as immaculate as I would like. Things may be untidy and out of place, the laundry may pile up for a few days longer than I’d like, some days my toddler (and me) will stay in pjs all day and some days my toddler may watch nursery rhymes on TV for longer than he should. We may eat take out more then we should, some days my toddler will have weetabix for dinner… but it’s okay! Sometimes we put too much pressure on ourselves and there’s no need. Don’t get me wrong, whenever I get a chance I am doing housework, or cooking, or trying to do worthwhile activities with my toddler, but some days nothing gets done and the world is not going to end! This couldn’t have come at a better time for me! I have a 19m old boy and have a girl due in 4 and a bit weeks so will be in the same boat as you very soon!